Ellen DeGeneres Plays Matchmaker Between Naomi Osaka and Michael B. Jordan; Watch Michael’s Reply for Naomi Osaka. 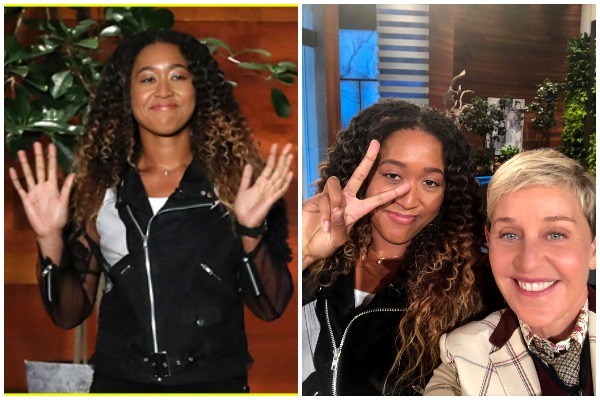 US Open Champion Naomi Osaka appeared on The Ellen Show on Wednesday, talking everything from recent controversial US Open match to her celebrity crush to what she is planning to do with her winning amount of 3.8 million dollars. After her incredible (and controversial) win at the US Open against her idol Serena Williams on Saturday, 20-year-old Naomi Osaka became a globally renowned name. What happened next was Ellen DeGeneres took the matter into her hand and texted Michael saying ‘hi’ taking a selfie with Osaka. Ellen told Naomi that she will set-up her and Michael and she should get some cut from her winning amount. While the US Open match attracted major controversies due to Serena Williams’ unacceptable behaviour against Umpire Carlos Ramos, Haitian and Japanese descent Osaka’s fairy-tale win was lost in the air. Serena Williams’ heated argument with umpire over shadowed Naomi Osaka’s win. At the time when tearful Osaka appeared for the trophy ceremony, she thought that the crowd was booing at her. Naomi told Ellen that she will buy some present for her parents with the amount she won at US Open. Ellen gifted Naomi a 64 inch 4k TV and concluded the show saying Naomi Osaka to embrace her win and she is adorable. Watch this space for all the latest entertainment feeds.